I’ve always been obsessed with my reflection, in both good and bad ways. When I was a kid, my mom caught me smiling at my reflection in the mirror once, and I was so embarrassed. (Nowadays if I were to see a small girl do that I’d love it. I was mortified, though.) And now, if I so much as walk past a glass-covered building, my eyes automatically attach themselves to my reflection, usually for several seconds, just to make sure I still look presentable and am not walking funny or anything. I’ve even found myself having a conversation with someone while walking past my reflection and completely tuning them out while I ogle myself. Bleh. This week, two of my friends sent me a link to the same story — the story of Kjerstin Gruys, a woman who avoided looking at herself in the mirror for an entire year. You can read the story here but, in a nutshell, Kjerstin spent the better part of her life fighting an eating disorder. After years of therapy, she finally beat her ED. Later, she got engaged and began planning her wedding. While dress shopping, she found herself thinking the damaging thoughts associated with disordered eating and, rather than subjecting herself to the temptation to fall into old habits, she decided to avoid mirrors altogether. Yes, even on her wedding day. When I first read this story, I had conflicting feelings: first, I felt ecstatic for her. What an amazing, liberating thing. But then, I felt convicted. Ashamed of myself and my own addiction to my reflection and the fact that I didn’t think to do it first. And I thought not straightening my hair for 40 days was a big deal! 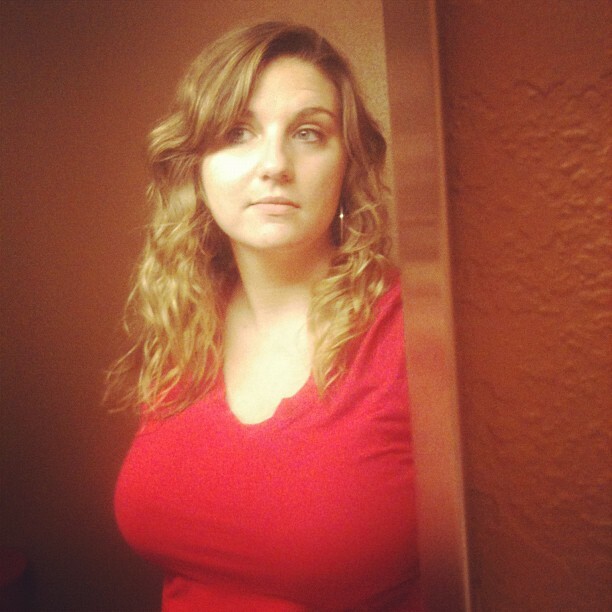 As a brand new mom, I haven’t had much time to look in a mirror, let alone analyze my appearance in one. Through this process, I’ve come to realize how truly fleeting and insignificant my looks are. This point was proven when just a week after delivering, one of my TV reporter friends (I used to work in TV news, by the way) was doing a story on breastfeeding and texted me to ask if she could come over to interview me. Without thinking, I agreed, and she told me she’d be over in 15 minutes. Then it hit me — I couldn’t remember the last time I’d brushed my teeth, showered, or changed clothes. And here I was, about to be filmed for television. My apathy was amazing. You should have seen it. I only changed clothes and brushed my hair because I thought I was doing those in our viewing area a favor. I couldn’t have cared any less about my appearance because my new baby was happy, healthy, and fed. Oh, and I’d gotten to nap that day, too. (Priorities, people. Motherhood changes them.) My baby boy had become my mirror; the way he thinks of me — with blind love and dependence — is the way I’m learning to look at myself. I’ve actually considered giving up looking in the mirror for Lent before. But I’ve never done it. Just like giving up social media, I’ve always assumed that avoiding mirrors would be “virtually impossible” so there’s no use in trying. Thanks for your inspiration, Kjerstin! You truly are beautiful, inside and out.